Conservation work to improve the quality of a rare butterfly breeding habitat at Haldon Forest Estate has been carried out over the last 18 months, funded through a grant of over £18,000 from our Coastal Recycling Community Fund. The rare pearl bordered fritiliary butterfly has declined by 95% in the past 40 years, but can still be found in pockets around Devon. Project leader for Butterfly Conservation, Jenny Plackett, said: The declines affecting this stunning butterfly are really alarming, so to see it responding so well to habitat management at Haldon is just fantastic and I can confirm the butterfly is now expanding into some newly cleared areas. The sunny clearings favoured by the Pearl-bordered Fritillary had become overgrown with scrub, so the grant helped us to open up these areas and create corridors for the butterflies to use as flight paths to reach other patches of woodland. We are delighted that our Fund has helped contribute to restoring this rich butterfly habit in Haldon Forest. It’s fantastic to witness first-hand the butterflies increasing in population as a direct result to the conservation work. Work has been carried out alongside the efforts of volunteers, who have helped with scrub clearing and the planting of Common dog-violets â€“ the foodplant for this butterfly’s caterpillar. 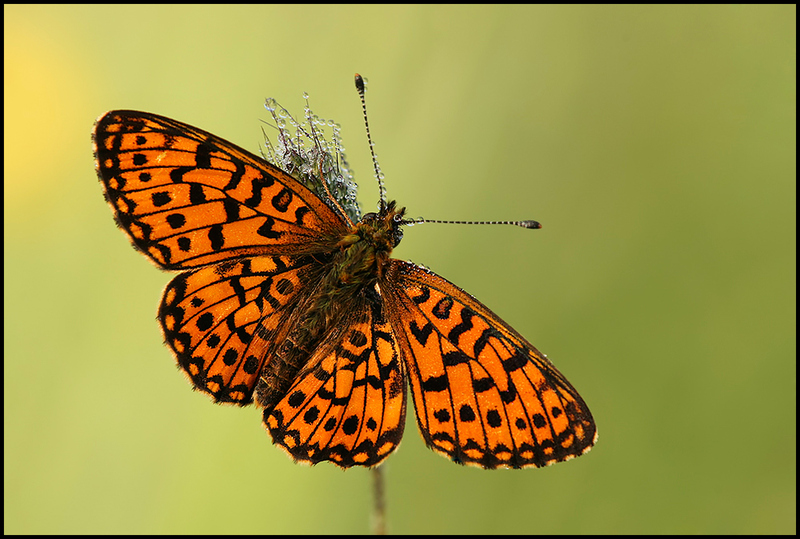 The pearl-bordered fritillary flies between mid-April and late May, although this year volunteer surveyors noted a slightly later than usual start to the flight season, following the cold spell at the end of March. The habitat management work is also benefitting the small pearl-bordered fritillary. This butterfly flies a little later in the year, so can still be enjoyed until the end of June.